Make sure you're using the best categories for your brand's focus. Find the words that you and your followers associate with that category, and add them. People will be able to find you better. Think like a Pinterest user, not like a brand. Use Guided Search for discovery. Watch the "Popular" category, or keep an eye on the "Featured" board. Use Guided Search to help identify top Pinners. You'll see a list of user profiles that match the keyword you're searching for. These are the influencers you want to reach. Twitter and Google have reached a new agreement to make tweets more searchable, according to Bloomberg Business. According to the story, "In the first half of this year, tweets will start to be visible in Google's search results as soon as they're posted, thanks to a deal giving the web company access to Twitter's firehose, the stream of data generated by the microblogging service's 284 million users, people with knowledge of the matter said." A similar arrangement was in place up to a few years ago, but until recently the two companies weren't sharing information, although Twitter already had deals with Bing and Yahoo that allowed tweets to be searched on those sites. Google+ was an attempt by Google to catch up with Facebook as a social network. While G+ has significant traffic (343 million monthly actives), it's dwarfed by Facebook's 1.37 billion. Now Facebook has Google's YouTube service - far and away the largest video network - in its sights. "Facebook has brought the battle to Google and is taking shots at the company where it's been strongest socially: in video, where Google's YouTube property has dominated for years," says Darius Lahoutifard, founder of Business Hangouts, an enterprise app for Google's Hangouts on Air, writing on VentureBeat. The most serious problem for Facebook Page owners usually isn't posting too much (quite the contrary), but it's important to pay attention to your post volume to refrain from irritating your fans. Based on a year's worth of data, Dennis Yu, CEO of BlitzMetrics, takes on three "myths" about posting content on Facebook: 1) posting more frequently will irritate your fans; 2) Facebook is out to fleece brands; and 3) posting more frequently means you get less engagement. The good news is that if you're consistently posting quality content that fits in with what your user community wants from your Facebook Page, there's basically no such thing as "too much." Also, ongoing changes Facebook has made to its newsfeed algorithm, while posing new challenges for brands, tends to reward good content and punish spammy, self-promotional posting. Make sure you're posting good things - and keep an eye on the feedback you're getting, both in the Timeline and in Insights. Millennials are definitely into food. They're growing it in their back yards (and 22nd-floor apartment balconies), they're more likely to enjoy grocery shopping than other Americans, and surveys show that the food itself is what draws them to restaurants, instead of price, which continues to be the main motivator for other age groups. Millennials aren't keen on just any food experience, writes Scott Anderson, vice president of marketing communication at Bazaarvoice. Citing an NPD Group report, he notes that Millennials are losing interest in dining out and "have cut back annual restaurant visits by 21% over the last seven years" - adding that according to NPD, this doesn't seem to be a strictly financial decision, as "higher-income Millennials are cutting back on restaurant visits at a faster rate than lower-income Millennials." Restaurant chains are taking on the problem with practical initiatives such as letting customers place their orders in advance in order to skip lines, and by providing free WiFi. Franchise brands such as Chipotle are using social media campaigns to convince Millennials that their ingredients are high quality; and Taco Bell used Reddit creatively for a humorous Q&A with its company president. You've found that perfect image to post to your Facebook Page, but it looks terrible when you upload it, usually because it had to be reformatted. 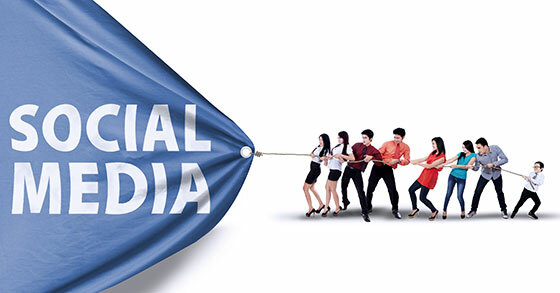 The same problem can face brand marketers using any of the popular social media platforms. Looking for a comprehensive guide to the right sizes to use for header images, logos, profile photos, and all the other kinds of visual content that you'll be using online? "It all comes down to formatting your images to the best size on each of the different social media sites," according to this helpful, informative post from The Go! Agency. "This blog is all about social media sizes. Scroll down and you will see not only the optimal sizes for each social media site, but also some tips to getting the largest amount of engagement with the images that you do use online." The blog covers sizing images for Facebook, Twitter, LinkedIn, Google+, Pinterest, and YouTube.